February 24, 2013  China has transformed itself in recent years. But for an NPR reporter now on his second tour of the country, some things, like re-education through labor camps, remain the same. February 22, 2013  In China, authorities can send people to re-education through labor camps for years without trial. Beijing says it is considering reforms to the notorious system, though it's not clear what that might mean. The people who know the camps best — former prisoners — say closing them is long overdue. February 19, 2013  The Chinese military unit allegedly behind cyberattacks on U.S. firms works out of a nondescript office tower in a Shanghai neighborhood that's modern, but considered a little bland. February 19, 2013  Cyberattacks on dozens of American companies appear to have originated in an area of Shanghai that houses a Chinese military unit, according to a report out Tuesday from the U.S. cybersecurity company Mandiant. The company says the group behind the attacks is the most prolific it's ever found. February 12, 2013  The U.N. Security Council strongly condemned North Korea's third nuclear test on Tuesday, and started discussions on further measures against Pyongyang. China joined in the condemnation, calling in the North Korean ambassador in Beijing to criticize his government's action. But whether China — North Korea's indispensable ally — will agree to tougher sanctions is an open question. February 12, 2013  North Korea confirmed on Tuesday that it had successfully conducted a third nuclear test. It's an important step toward North Korea's goal of building a bomb small enough to be fitted on a missile that could reach United States. February 11, 2013  It's the entrepreneurs' dream: tapping into China's market of 1.3 billion people. 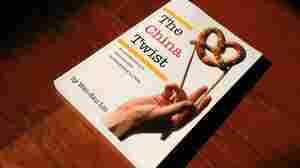 That dream fueled the efforts of two Chinese-American MBAs to take the soft-pretzel franchise — a staple of U.S. shopping malls — to China. Cultural and financial barriers, however, led to a far more challenging reality. February 7, 2013  Hollywood blockbusters usually do well in China. But last year, Lost in Thailand, a scrappy, slapstick comedy that cost less than $5 million to make, raked in $200 million in just seven weeks. It's now the highest-grossing Chinese film ever. It begins a limited run in the U.S. on Friday. February 6, 2013  An already tense standoff between Japan and China grew even more so Tuesday. Japanese officials said a Chinese naval frigate aimed radar used for targeting weapons at a Japanese destroyer last week. The announcement comes as the Asian giants continue to send warships and military planes toward islands both claim as their own. 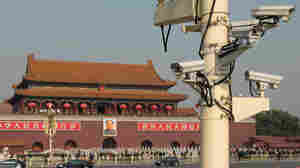 January 30, 2013  Increasingly, China's surveillance state has extended to include Chinese individuals spying on one another. Former journalist Qi Hong has helped ordinary citizens and government officials alike detect bugs and hidden cameras planted by others. In one year, his bug hunt turned up more than 300 devices for a hundred friends. 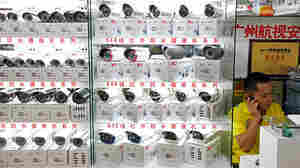 January 29, 2013  There are an estimated 20 million to 30 million surveillance cameras in China — or about one for every 43 people. Officials say the cameras help fight crime and maintain "social stability." But critics say the government uses them to monitor and intimidate dissidents. January 10, 2013  Taiwan technology giant Foxconn said it is under investigation by Chinese authorities. 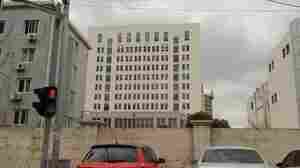 It is also conducting its own probe into allegations that some of its managers had solicited bribes from suppliers. January 8, 2013  A dispute over an editorial in a Chinese newspaper has widened into calls for more freedom of expression. Hundreds of people protested Monday calling for an open news media. 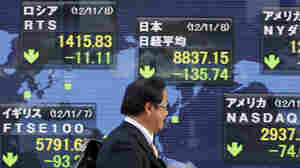 Japan's Economic Woes Offer Lessons To U.S.
December 21, 2012  Japan's economy was a world beater in the 1980s. 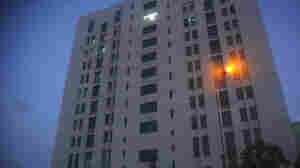 But the country has now gone through two tough decades and there's no end in sight. What lessons might it hold for the U.S. as it confronts the "fiscal cliff"? December 17, 2012  Shinzo Abe will be Japan's next prime minister. He last held the position in 2006, but resigned after a troubled year in office. His party, the Liberal Democratic Party, ruled for all but 11 months from 1955 to 2009.